The holiday season is wonderful. It’s full of delicious food, amazing time with family and friends, and beautiful decorations. My kids like the twinkling lights, and they enjoy having more company than normal. And I may even let them have an extra sweet treat or two, which kids always count as a benefit. We’re hosting a few different gatherings this year, and I’m feverishly planning for them already. I’ll have an organized plan from games to food that makes it appear like I have it all together. But please tell me I’m not the only one that experiences this last minute frenzy before any party I host. I can always count on something going horribly wrong minutes prior to the start of a party. It could be anything from the kids sticking a Barbie in the pie or a meltdown over my daughter realizing the turkey is actually, well, a turkey. However, the most common cause of a catastrophe is typically food or mess related. I put too much flour in the stand mixer and it poofs all over the place. 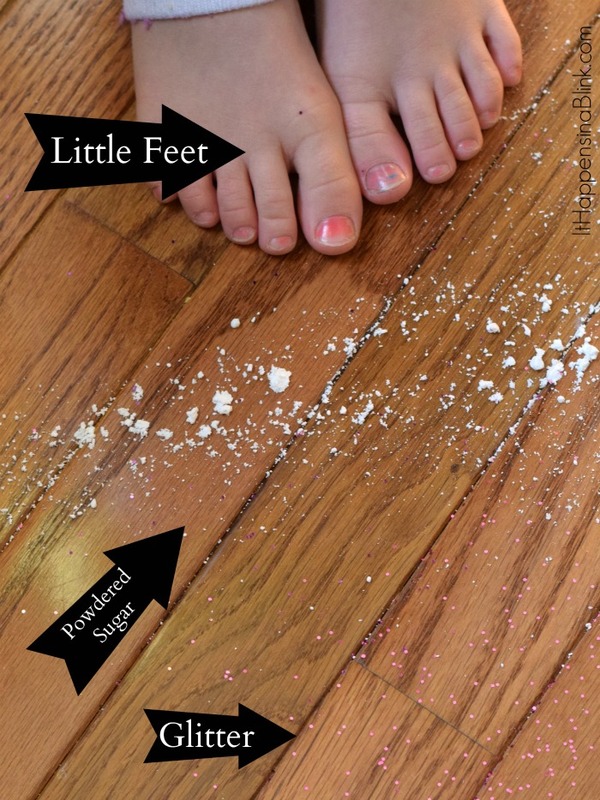 The kids decide to help “decorate” with glitter while I’m cooking. Then I’m left with a new kind of prep to begin– floor cleaning prep! Yep, there’s nothing like last minute cleaning. It seems like it’s always a mess on the floor. A mess that I have to clean before the guests arrive. I’ve learned to keep an arsenal of handy supplies around for these scenarios. 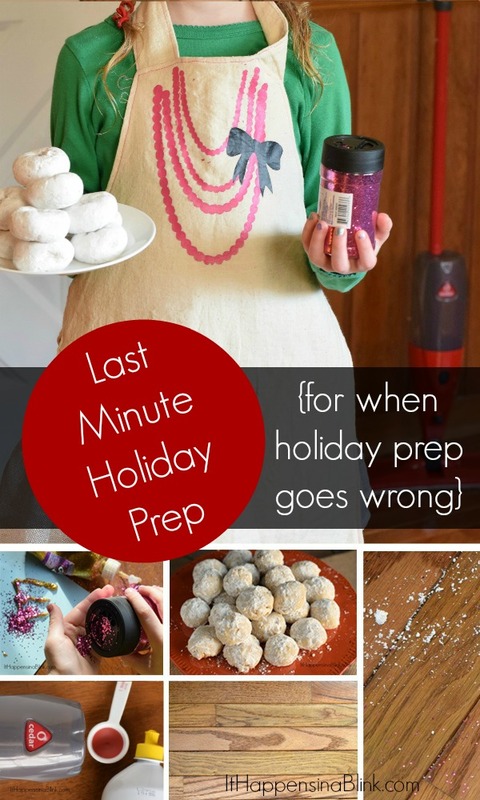 Today I’m sharing my tips for last minute holiday prep that I utilize when my holiday prep takes a turn for the messy. 1. Have an appropriate understanding of Murphy’s Law. I hope that you have better luck than me. Really, I do. However, when it comes to me and hosting parties, what can go wrong will go wrong. I almost expect something to not pan out as planned. This understanding allows me to not have expectations for perfection. Am I the only one that wants everything to go perfectly at a holiday party? I see all the lovely photos on Pinterest that scream “Winter Wonderland”, and I envision my party to be the same. The truth is that my parties are less Winter Wonderland and more Massive Snowball Fight. Having appropriate expectations allows me to not only enjoy the party but also to be more calm when things don’t go as planned. 2. Add time buffers in the planning schedule. Truth: Packing my holiday prep schedule full until the second before the party is supposed to begin is downright stressful. I always add a little extra time buffer when I’m prepping for a gathering. This can be useful for not only prep, but also for when guest arrive fashionably early. 3. Plan for back-ups. There’s nothing like having an extra pie in the freezer or the hubby on stand-by to run to the store. Back-ups do not have to be extensive or time-consuming. It can be as little as picking up a few additional pantry items at the store, but it can be reassuring to know that there’s a Plan B in the case that Plan A hits the floor. 4. Keep handy supplies on the premises. In addition to regular household cleaning items, I always have my little hand vac and O-Cedar ProMist mop handy. When messes hit the floor, I can vacuum loose particles and then quickly mop the floor to a shine with the O-Cedar ProMist. I am not consistent with mopping my floors. I should be, but I’m not. Having the ProMist around has made mopping so quick and easy that I can pull it out before any gathering to get clean and shiny floors. 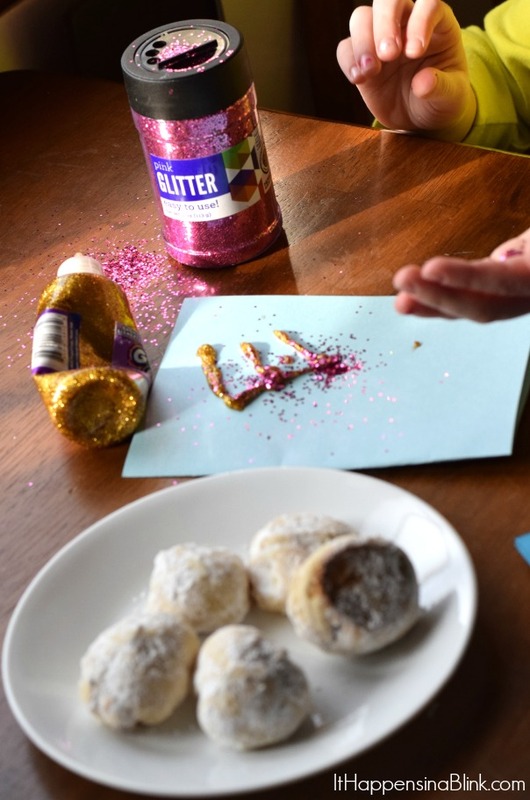 Just this week my daughter and I did a trial run of a recipe for an upcoming party. These White Chocolate Snowball Cookies are absolutely delicious, but powdered sugar and kids are a lethal combination. Pair this with a glitter card that just “has to be made, Mom!”, and my clean floors went from squeaky to slippery in a matter of minutes! 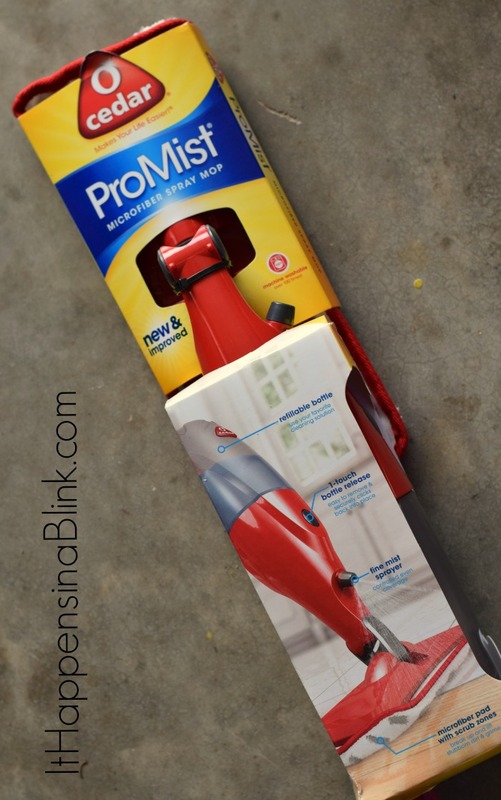 I used my favorite vacuum to sweep up the loose pieces and then pulled out my trusty ProMist. The mop is easy to fill. Simply follow the instructions and spray! The refillable bottle of the mop allows me to use any cleaner that I wish. I have a dedicated tablespoon that I use for the cleaners. I use a maximum of two tablespoons and fill the remainder of the bottle with water. 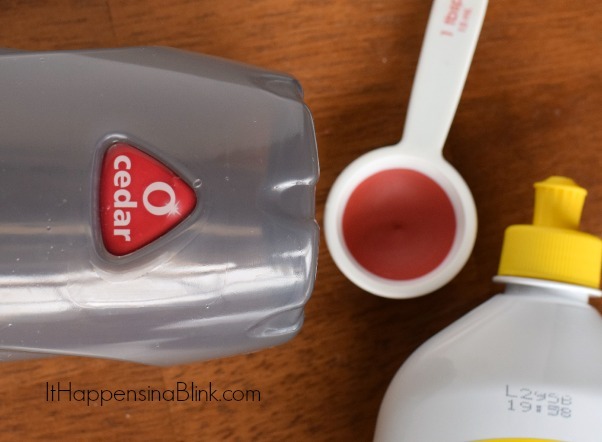 I’ve created a less than two minute video to show how quick and easy it is to get started with the O-Cedar ProMist. The photo below demonstrates a before and after. 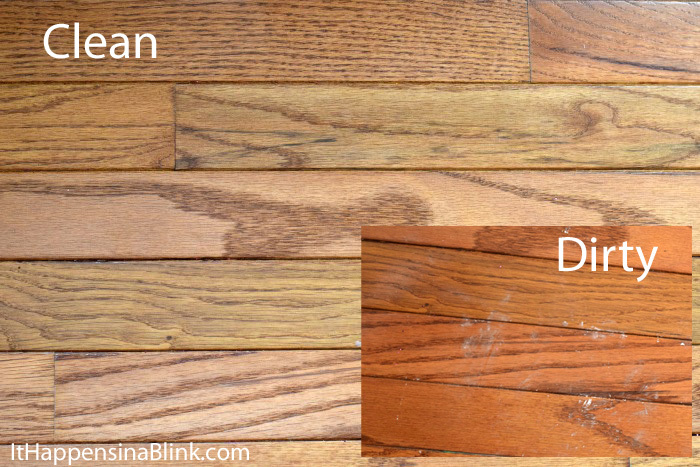 Yep, it’s the exact same area of floor! I darkened the before picture so that it didn’t blend in with the after picture. With a washable microfiber pad, the O-Cedar ProMist Spray Mop is an upgrade for me from the standard mop ‘n’ bucket. 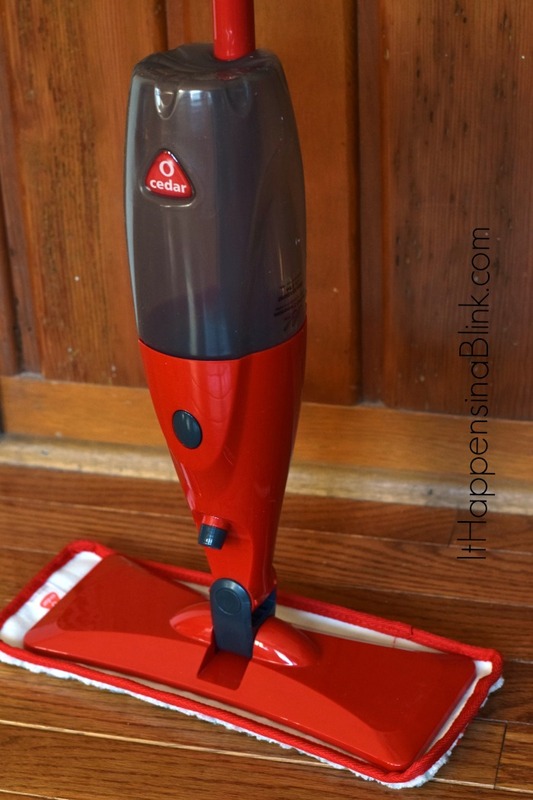 If you’re looking for a handy mop to have around the house during the holidays, this is it! Now I have to know. Do your holiday parties go perfectly or do you have a prep plan in place for when things don’t go as planned? Great tips!! Fabulous mop, too! I love inviting people round to our house as it’s the only way I can be sure I will have a tidy up! That mop looks great – glitter just gets everywhere! I have one of these mops and I LOVE it! It’s great that you can wash the pad and use your favorite cleaning solution! Great post and tips! I have hardwood floors all throughout my house, and this mop looks like the perfect mop for hardwoods. Thanks! I love that this mop is refillable and has a washable pad… it’s so much better than the throw-away versions of spray mops! Very cool! Haha. Thanks Kelly! Yes, the mop is very easy to set up!